Red Foley was born in 1910 to a musical family from Blue Lick,Kentucky, and by 1930 he was touring around America as a singer with the John Lair Cumberland Ridge Runners. His 1951 version of “Peace in the Valley” was one of the first-ever-million-selling gospel hits. Throughout his recording life he sold more than twenty-five million 78s and is an important figure in the history of country music. He was also a big inspiration for a couple of future rock n’ rollers named Jerry Lee Lewis and Elvis Presley, both playing many of Red’s songs; and both absorbing Red’s country boogie style which would be the foundation of all that 50s Sun Records rock-a-billy. 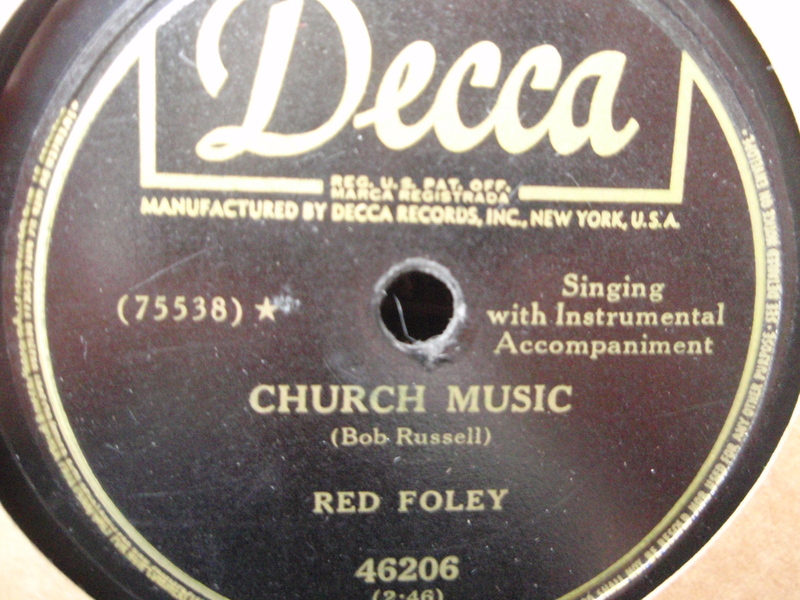 Lately, I havin’ been really digging his version of the little remembered Bob Russel tune “Church Music.” On the Decca label from 1950, the melody is catchy and Foley’s baritone/tenor voice sounds so good around this simple, genuine ditty.